1.In a saucepan over low heat, melt chocolate chips and shortening, stirring until smooth. Let chocolate mixture cool. 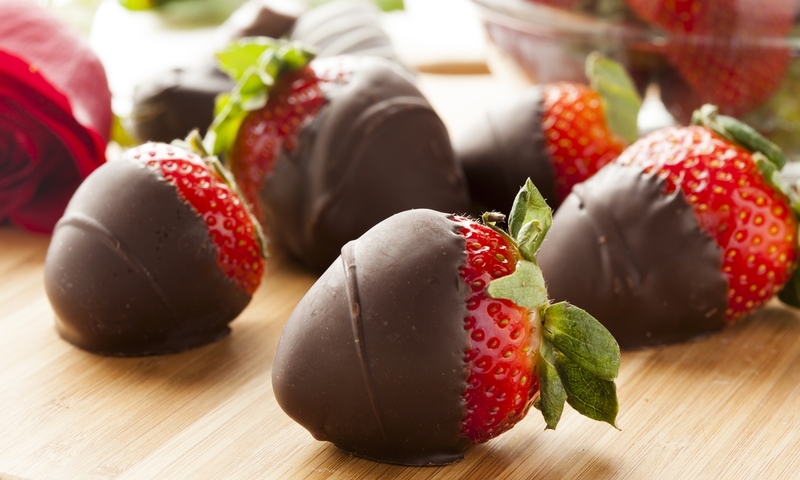 Next, spear the strawberries with toothpicks, and dip into chocolate. Place on waxed paper or stick toothpicks into a block of Styrofoam to harden. Makes eight to 10 servings.